I had a severe hankering for brisket, so I had scratch that itch. It's injected with a rich beef broth and rubbed with Oakridge Black Ops. It went into the Assassin at 225 for an overnight smoke with a large load of hickory chunks for smoke. 8 hours into the cook I checked for color, wrapped it with a little more beef broth in the wrap, and increased the heat to 250. It cooked 3 more hours and I held it in the Cambro wrapped in a towel for 4 hours. Turned out pretty decent and it tastes great! I had slices yesterday, and I'm making sammiches tonight. Life is good! Thanks! I'm slowly working my way through the SuckleBusters catalog. I'll have to look into their brisket rubs. May I suggest something ? Ok good, try throwing some mini onion rolls buttered on a griddle and melt some cheese on it and make some Brisket Sliders. Last Brisket I made I made them and they were ridiculously tasty. Thanks! I'm slowly working my way through the SuckleBusters catalog. I'll have to look into their brisket rubs. [/quote]I have the SB Brisket Rub. Its really good on Brisket but I've used it on other Beef and Chicken as well. Its very versatile. The SPG is awesome as well. 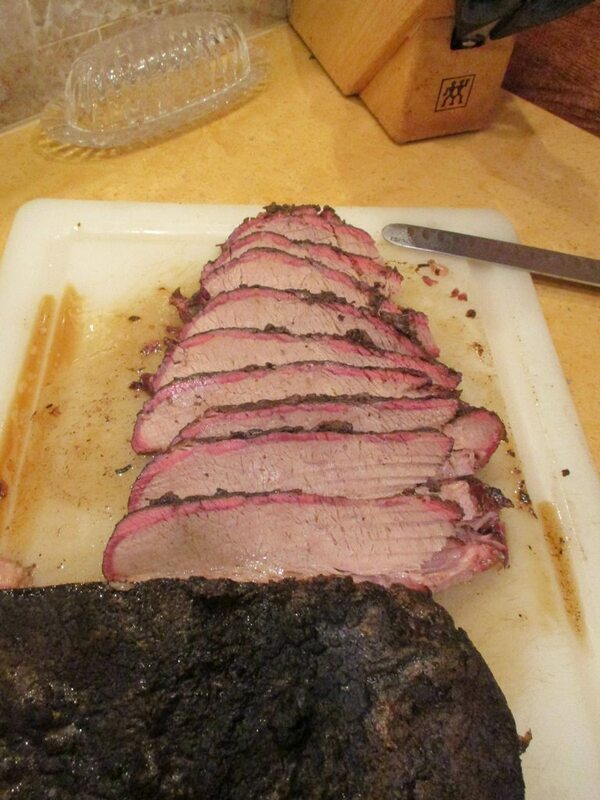 I think I'm going to order some Texas Brisket Rub and SPG soon. I'm always up to trying new rubs. If you decide to try them and you like Pecan ? The Pecan is great and the sauces are spot on. Peach and Honey are my favorite on Chicken. woodenvisions wrote: And yes, it looks awesome. Smoking Piney wrote: [quote=&quot;woodenvisions&quot;]And yes, it looks awesome. And yes, WV is famed for killing me with food ideas.